Of all the possible causes of hair loss, perhaps the least talked about is injury. Both temporary and permanent hair loss can occur as a result of damage to the scalp and can present you with an extra problem when you are already feeling traumatised. Often doctors treating injuries don't know much about hair, so what should you know in order to help yourself? If you fall and hit your head, worrying about your hair is probably the last thing that will come to mind, but impact injuries to the scalp can sometimes cause a localised overreaction of the immune system that triggers hair loss. This may affect the whole of your head or just a patch around the injury. If you notice that your hair is coming out after a head impact injury, Talk To Your GP. You may be able to take anti-histamines to reduce the hair loss. You should always be very gentle with your hair in the immediate aftermath of such an injury as bruising can weaken the hair follicles. Don't tie hair back tightly and use a soft brush rather than a comb. If you need surgery to your scalp or your brain after an impact injury, a surgeon may need to shave a patch of your scalp. Should this happen, talk to a nurse about how to cover the bald patch. You may be able to Get A Wig, but hair patches or hair extensions are usually the most effective and trouble-free option. If you have long hair, you may be able to braid it across the bald patch . Burn injuries to the scalp can create a lot of difficulty, as they tend to look unpleasant but they need to breathe in order to recover, so they should spend some time uncovered. If you want to cover them when you're out and about, use an appropriate surgical dressing and a hat, scarf or real hair wig that allows for plenty of ventilation. Your GP or burns nurse can help you to choose something suitable. Whether or not your hair will grow back after a burn will depend on the severity of the injury. Hair follicles can usually recover from first degree burns and sometimes from second degree ones. Recovery from third degree burns is highly unlikely. Following medical advice about your burn and not picking at it – no matter how much it itches – will increase the chance of your hair regrowing. 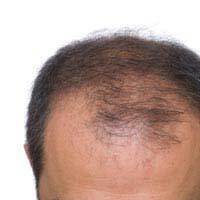 Even after relatively minor burns to the scalp, it is common for some hair follicles to be destroyed, This means that your hair may grow back thinner than before. If you have only partial burns and are left with thin patches, you may be able to adapt your hairstyle to hide most of the damage. Following serious burns, the skin often remains red for years. This means that, if you have lost your hair, you may not feel comfortable simply going bald. The good news is that, in the long term, your skin is likely to be healthy enough for you to cover it with a wig most of the time. Alternatively, you can talk to your GP about special cosmetics, available on the NHS, designed to conceal the redness. Sometimes infections that cause hair loss can leave you with long-term damage to your scalp. This can include blistering and scabbing which makes it difficult either to keep your hair in good condition or to cover baldness – it can even make it difficult to shave hair off. New hair, as it pushes through the skin, can make the problem worse and can cause itching, tempting you to scratch and exacerbate the damage. If you are suffering from problems of this sort, your GP or pharmacist can help. Most people find that E45 cream, which your doctor can prescribe, reduces discomfort and allows skin to recover. You may also need a mild steroid cream to support your recovering hair follicles. A U-shaped neck support pillow can reduce the pressure on your scalp while you sleep. Hair loss from scalp damage can feel like insult added to injury, but there are lots of ways to work around the problems it creates. It's not unreasonable to value your self image, even if you've just been through a traumatic experience, and there is plenty of assistance available to help you look and feel better. Read Our Guide To Looking After Your Scalp and protecting against dry skin, flaking, minor infections and skin cancer.